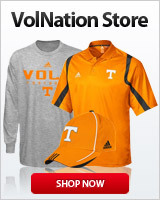 Sporting News on the "Overlooked"
That story is no surpise to us Vol fans. I could not agree more with Grant in that they are achievers and not over achievers. Having watched Tennessee basketball since the days of Bill Justus and such, it is obvious this team is destined for even more greatness! Let's win it all!! No surprise - We can all recall how some in the media sold a Michigan safety for Hypesman over the superior Peyton Manning. Some in the media seems to think it's their job to tell the public who is superior as if we cannot see for ourselves. Their only idea is to create controversy to sell clicks and so many people fall for it. It happens in sports, entertainment, and politics to the detriment of each.